A Solid Silver .925 reproduction coin from ancient Sicily circa 400 BCE. This decadrachm features the signature of Euainetos on the reverse. The woman is Arethusa, a nymph and a Nereid (daughter of Nereus). To protect her from unwanted attention, Artemis transformed her into a spring, and she became a fountain on the island of Ortygia in Syracuse. 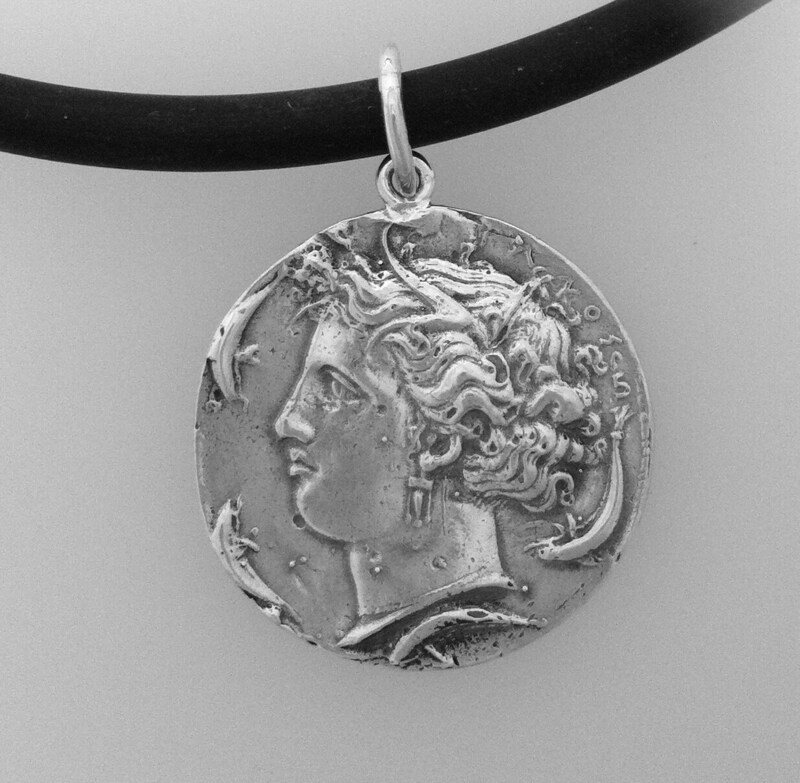 Her image is a common one on ancient Sicilian coins. 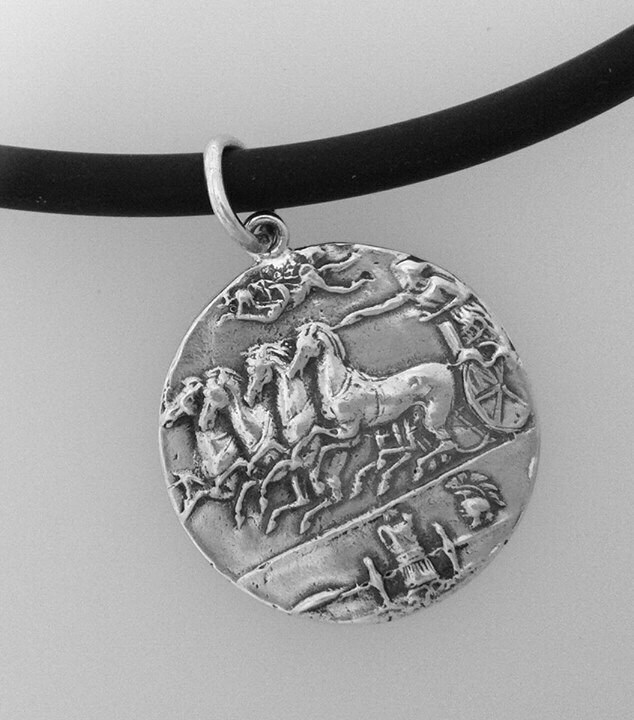 The coin can be worn as a stunning pendant. £75.